Taking medical leave is not a crime. But some employers make it seem like it is. The death of SIA stewardess Ms. Vanessa Yeap had put into public domain a discussion on how companies should manage medical certificates (MC). To be precise, the internet is talking bout whether or not companies should reward/punish the taking of MCs (or not). MCs should must remain neutral. Neither reward nor penalise its use/non-use. The purpose of a medical leave is to provide an ill stricken employee a chance to rest and quarantine himself. That is all. If the employee is an MC abuser, the weakness will turn up in other areas of work. You will rarely have a situation where an abuser has equal results as someone who has been diligent at work. An employer cannot prejudice themselves. In criminal law, there is the principal of a presumption of innocence: everyone is innocent until proven guilty. If we persist with the view that an MC is a bad thing, to be rewarded if you don’t consume it… then we will slowly find that medical leave turning into a crime, to be ashamed of. Because – everyone is guilty and you have to prove that you’re really sick before your colleagues/boss feels sympathy for you. And that is why I observe in Singapore, some employees dragging themselves to work even though they’re hot with fever – trying to show their colleagues that they’re really suffering, then will there be no guilt in taking the leave. Some even post pictures of their miserable selves and pictures of medicine on Facebook to prove their ailment. That is really sad my friends. If you encourage the ill and sick to come to work, this person will reward the company with misery and virus. And this is a gift that keeps on giving – to innocent families at home where vulnerable elderly and children are. When supervisors evaluate staff performance, company policy must tell them that they are not entitled to evaluate based on medical leaves. There are so many matrixes and frameworks that an employer can develop to evaluate performance, there is no need to rely on MCs at all. If the legitimacy of the MC is in question, then it is the medical institution that must answer to this charge. The company can request for a change of doctors, or request for staff to see only company appointed facilities. If MC abusers are taking a toll on the morale on other employees, then the employers must address this through the many frameworks, KPIs and matrixes available. 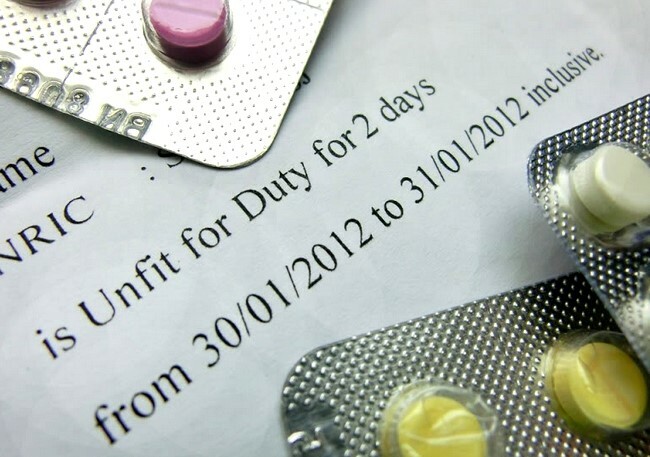 If a staff is really so ill that he cannot carry out work at all, seek a medical opinion and then discharge or frustrate the contract where appropriate. If it is malingering – deal with the malingering as a separate offence and punish it. There are so many tools available to the employer, but they ought to leave MCs alone – keep it neutral. MCs must be neutral, neither rewarded nor penalised. Everybody’s right is at risk if even just one person suffers detriment for taking an MC, because if just one person is guilty before proven…then everyone is just as guilty. It is a system of trust that requires the maturity and co-operation of both employer and employee. Both must work to keep this trust intact.